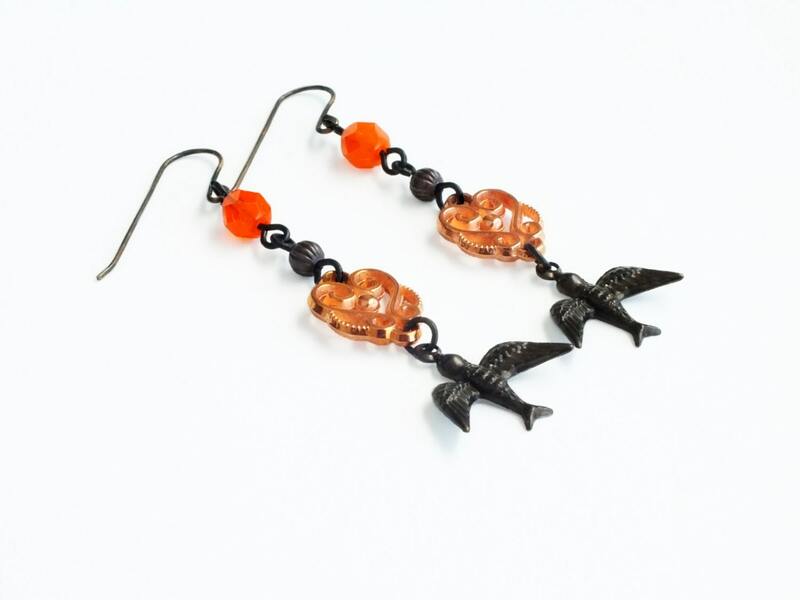 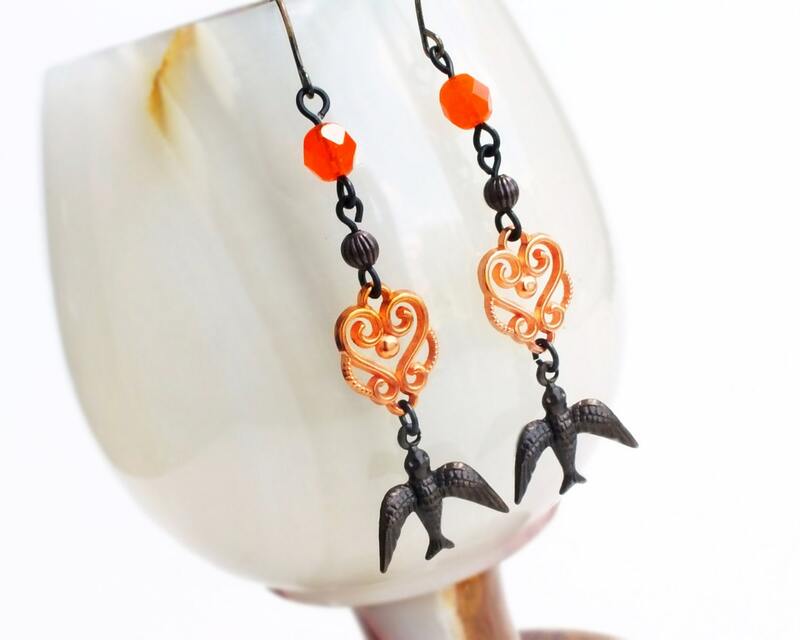 Handmade orange bird dangle earrings with black brass bird charms and orange glass beads. 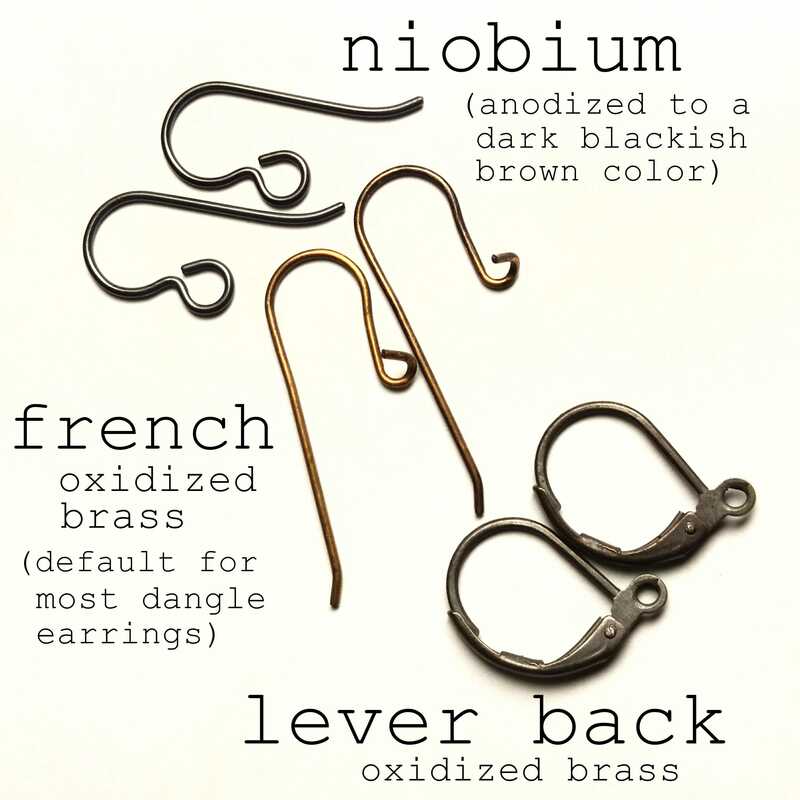 US made oxidized brass ear wires, beads and charms. 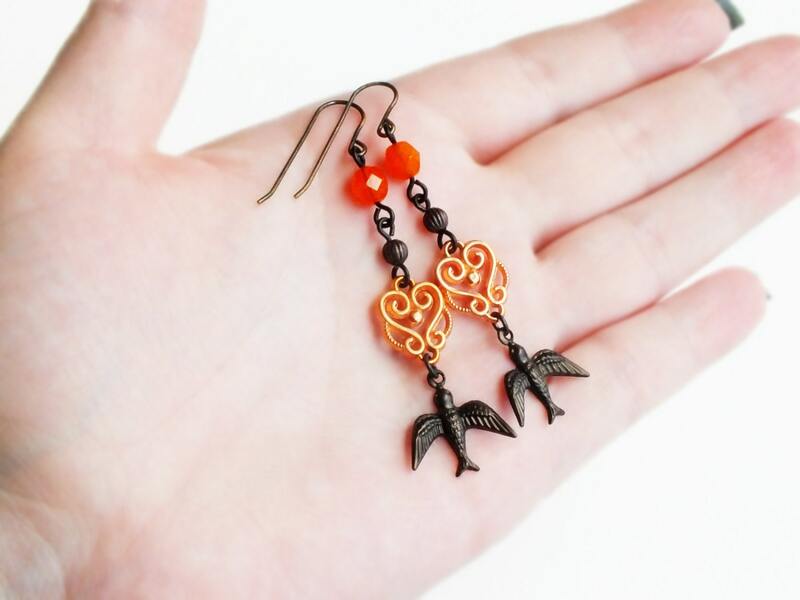 2 1/8 inches - 6.7 cm long. 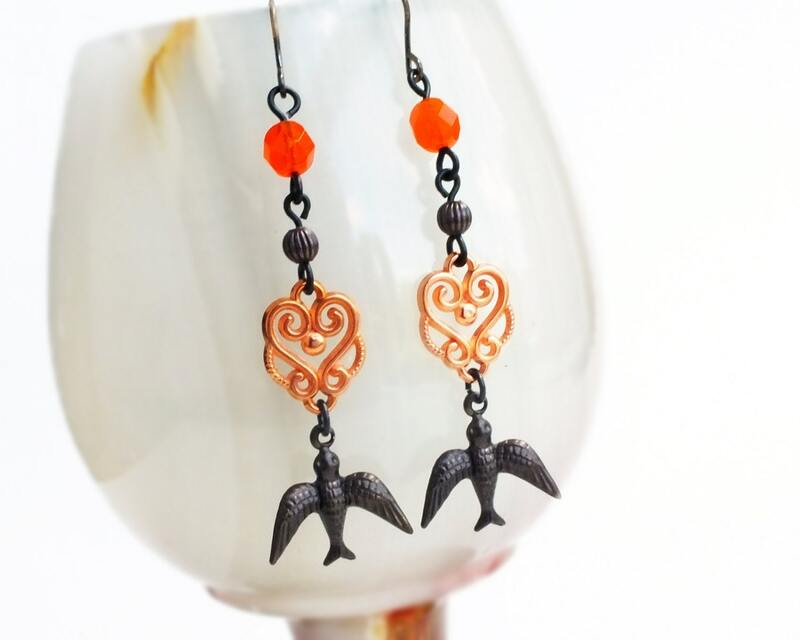 Made with gorgeous bright copper filigree connectors framed by bright tangerine Czech glass beads and dark matte brass swallow charms.